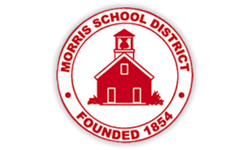 With a mission of preserving and enhancing the prosperity of our schools and community and recognizing the value of independent funding, a group of local business leaders established the Morris Educational Foundation in 1992. Today the board includes parents, teachers, business and community leaders, committed to upholding that mission. Patty and her husband Greg moved to Morristown from New York City in 1996. They have three sons, Christopher (MHS ’14), Luke (MHS ‘2017) and Evan (MHS ‘2022). Patty has been a tireless volunteer on behalf of the Morris School District as her boys went through its various schools. Most recently, she served as the Treasurer of the Morris Educational Foundation from 2009-2017, prior to assuming her current role as Chair of the MEF. Patty previously worked as a Vice President at AMBAC, a municipal bond insurance company. She has an undergraduate degree from Cornell University and Masters in Public Administration from New York University. Peter Croonquist and his wife Christine, an MHS grad, have been Morristown residents for more than 20 years. Their children, Andrew and Kate, have also attended our schools. A senior vice president/investments at Janney Montgomery Scott, Peter has overseen client portfolios and investments for over 25 years. He serves on several non-profit boards including The Salvation Army of Morristown (since 1996- past Chair); The Bergen Family Center (since 2000); and, the Development Council of the Archdiocese of Newark (since 2010). Peter earned his bachelor’s degree in economics and finance from the University of Scranton and was designated an Accredited Wealth Management Advisor by The Wharton School of the University of Pennsylvania. With more than 25 years’ experience in philanthropy, Michelle currently serves as program associate and events coordinator for Luce Scholars, a nationally competitive fellowship program launched by the Henry Luce Foundation in 1974 to enhance the understanding of Asia among potential leaders in American society. Michelle directs the day-to-day administration of the program, coordinates the annual fellowship competition and organizes meetings and events in the US and in Asia. Prior to joining the Luce Foundation, Michelle was a jewelry designer and taught middle school art. She earned a BA and a teaching certificate in fine arts from Ohio Wesleyan University. Michelle was born and raised in Morristown and returned to her childhood home with her husband, Steven, an attorney in NYC, 18 years ago. Michelle and Steven have two children, Hallie and Daniel. Both children are enrolled in the MSD and both are active in Morristown athletics. Sang and her husband Fred have lived in Morristown since 2003. They have two sons, Max and Tommy, who are students in the Morris School District. Sang is an active volunteer in the Morris School District, serving on HSA Executive Boards and chairing numerous committees. 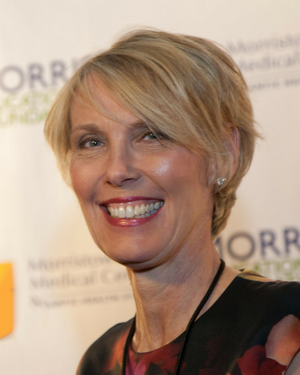 She grew up in New York City and attended Barnard College and New York University. Prior to having children, Sang worked as a corporate bond analyst for Credit Suisse and DLJ. Katherine joined the MEF Board of Trustees in 2017. She has been an active volunteer in the Morris School District, serving as PTO President at Thomas Jefferson School and Treasurer and Cultural Arts Chair at Woodland School. Katherine previously worked as a VP of Finance at NBC Universal and has experience in financial planning and analysis, project management, and strategy and development. She is an alumna of both Villanova University and Rutgers Business School and has a C.P.A in the State of NJ. Katherine and her husband, Joseph, have been residents of Morris Township since 2002 and are the parents of Madelyn and Jack, both students in the Morris School District. 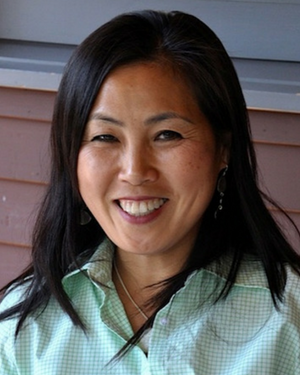 Kim joined the MEF Board of Trustees in 2010. She has been an active volunteer in the Morris School District, serving as HSA President, PAC President, and committee member of the Guidance Committee and Project Graduation committees at the high school. She is currently the Immediate Past Chair, Development Committee Chair and Board Governance Chair. Kim worked in the jewelry business with Zale Corporation before moving to New Jersey in 1992. She and her husband, John, are the parents of Blake (MHS’11) and Chase (MHS’04). Joshua joined the MEF Board of Trustees in 2018. He is a Morristown High School graduate and has resided in Morris Township for most of his life. 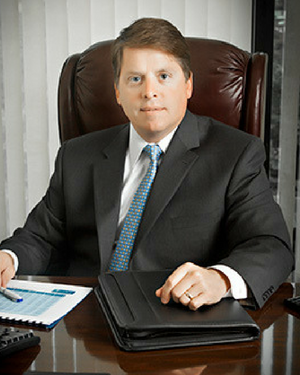 He is the managing partner of Beinhaker & Beinhaker, LLC, a general practice law firm located in Morristown. Joshua’s wife, Marylynn, is a second grade teacher at the Woodland School. He is an alumni of both the University of Maryland and Seton Hall Law School. He and his wife have two young boys, Grady and Ezekiel, in the Morris School District. 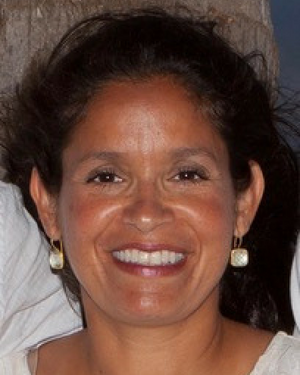 As a life time member of the Morristown community, Amanda has been a tireless professional and volunteer for local non-profits, including the United Way of Northern New Jersey, where she was the Women’s Leadership Council Manager, and campaign manager for approximately 150 annual corporate workplace initiatives. 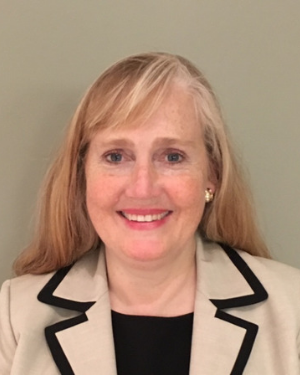 As a volunteer, she is an active member of the Junior League of Morristown, where she served as president, and The Presbyterian Church in Morristown. Amanda has also held various leadership roles in the Morris School District Home & School Associations. She and her husband, Bill, are the parents of Paige (MHS ’16) and Lucy (MHS ‘18). Amanda is a proud alumna of the Morristown High School. 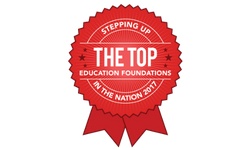 As a biology teacher at Morristown High School for 31 1/2 years, Sandra Gibson became a supporter of MEF. Now retired, she is serving her fourteenth year as a Morris Educational Foundation Trustee and is a Co-Chairperson of the Scholarship Committee. She also serves on the Grant and Board of Governance Committees. Sandra and her husband Charles have been residents of Morris Township for 51 years. Their children attended Morris School District schools and are MHS Alumni. Kathy grew up in Brielle, N.J., and graduated from St. Lawrence University with a bachelor of science degree in political science. She then worked in New York City in the commercial insurance and reinsurance industry. Kathy and her husband, Greg, settled in Morris Township 14 years ago to raise their four daughters, Brady, Madison, Keegan, and Logan. She is now an active volunteer in the Morris School District and has served in leadership roles in numerous schools. Kathy has also been an active member of the Junior League of Morristown. Most recently she co-chaired the JLM premiere fundraiser, Luncheon with the Authors. 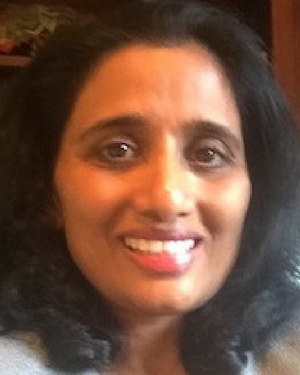 Susmitha Kantheti and her family moved to Morristown, NJ in 2011. She and her husband, Kumar, have been trustees of the MEF since 2017. Both of their children, Uma (MHS ’15) and Neelesh (MHS ’18) attended Morristown High School. Susmitha works as Senior Product Manager/Analyst at LexisNexis and specializes in Big Data Analytics. She has master’s degrees in Computer Science, Biomedical Engineering, and Business Administration. Susmitha is passionate about volunteering and community involvement, especially in causes relating to education. 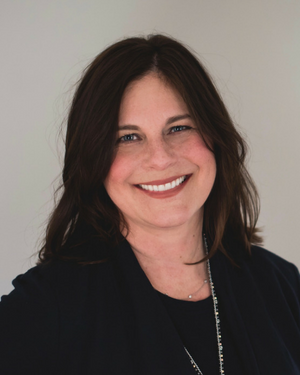 Jody Marcus is a development consultant in the Morristown area and currently the Morris County Tourism Bureau Assistant Director. 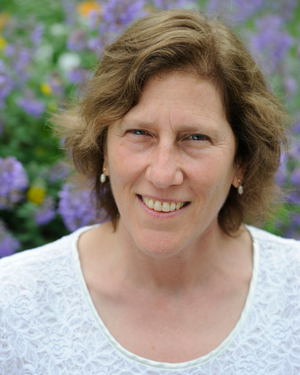 She recently worked at Raritan Headwaters Association as the Director of Development. 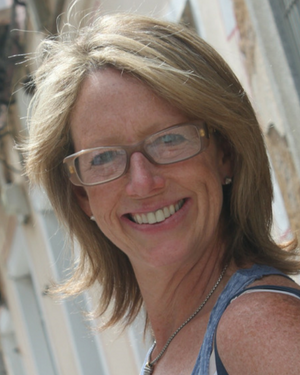 She has worked as Curator at the Morris Museum and at the Morris County Tourism Bureau as Director of Development. She was a founding member and executive director of the Community Children’s Museum in Dover and was a member of the Human Relations Commission’s Building Cross Cultural Communities Committee for many years. Jody has a master’s in industrial design from Pratt Institute and a bachelor’s degree in cultural anthropology from the University of Massachusetts. Jody was a preschool teacher and a substitute teacher in the Morris School District for four years. She has two children who graduated from Morristown High. 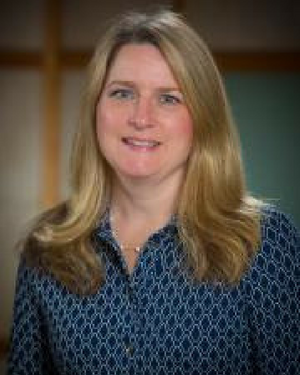 Karen McAllister is a Director of Compensations and a Global Total Rewards Leader at Merck. She previously worked for Novartis and several other pharmaceutical companies including Boehringer-Ingelheim and Sanofi. Karen is an active member in the Morris School District. She divides her time between volunteering at FMS as a Theater Angel and Member of the Landscaping Committee and Oratory Preparatory School as the Chairperson for the annual Fashion Show & Gift Boutique and an active member of the Performing Arts Committee. Prior to her oldest son’s graduation from MHS, she served as a Committee Member for Sensory-Friendly Theater and was a member of the MHS Theater Parents Association. She currently serves on the MEF's HR Task Force. Karen is an Alumni Admissions Volunteer for Boston College. She is also active in several professions organizations including World at Work, Society for Human Resource Management (SHRM), and Healthcare Businesswomen’s Association (HBA). Karen is married to Kevin McAllister, and they have three children: Colin, a Freshman at Loyola University of Maryland and a graduate of MHS - Class of 2018; Christopher, a Junior at Oratory Preparatory School; and Courtney, an 8th grader at FMS. They have lived in Morris Township for over 20 years. 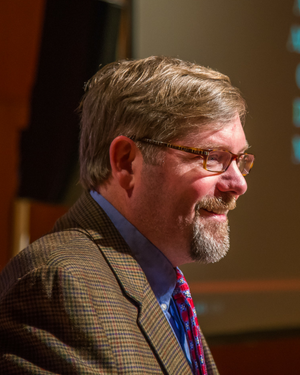 Patrick McGuinn is Professor of Political Science and Education at Drew University and a Senior Researcher at the Consortium for Policy Research in Education (CPRE). He holds a Ph.D. in Government and a M.Ed. in Education Policy from the University of Virginia. Patrick’s research and teaching focus on American politics and public policy, and in particular, education policy. He directs Drew’s Model United Nations program, which brings over 300 students from FMS and other area middle schools to campus each year. Patrick serves on the Board of the Inter-Faith Food Pantry and coaches youth rec soccer for Morris United. He is a former high school social studies teacher and has three daughters in the Morris School District, as well as another who recently graduated from MHS. Christine lives in Morristown with her husband and two young children. She received a Bachelors degree in Education from Wagner College and a Masters Degree in Psychology from New York University. 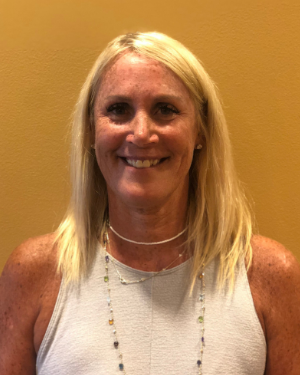 Passionate about child development, she has been an educator for 15 years and is currently Learning Disabilities Teacher Consultant at Frelinghuysen Middle School. 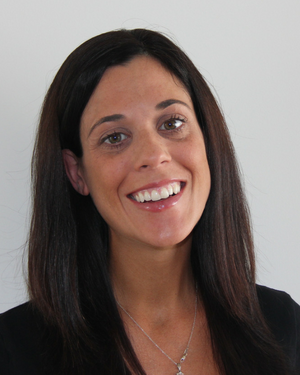 Caroline works with Sanofi Pharma as a Director of Learning and Development for the Clinical Development organization. 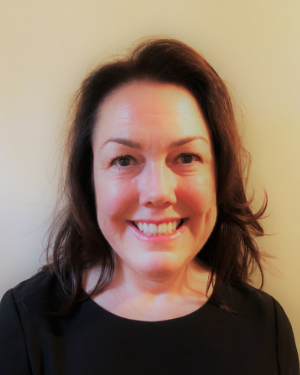 She has worked for 28 years within different areas of Pharmaceutical Research and Development and for the past 12 years has focused on using new tools/technologies for building and delivering training programs for adult learning with an emphasis in clinical processes and disease management. She is also a member of the clinical quality governance team. She serves on the board of St. Gabriel’s Academy, a pre-K to 8th grade private school in Kenya. She is passionate about the integration of technology and education to bring the learning experience closer to the student. Caroline graduated from Duquesne University, Pittsburgh PA with a BSc Pharmacy. She and her husband Elisha are the parents of two daughters who attend MHS and Thomas Jefferson School. 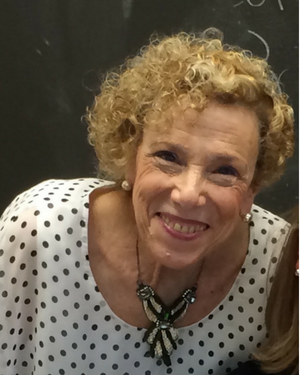 Ann Rhines began teaching in the Morris Township school system in 1962. 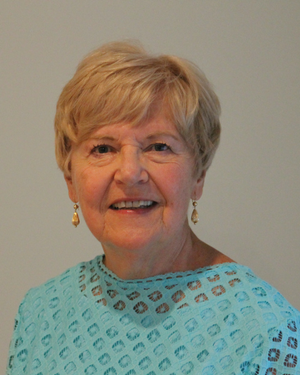 In addition to her teaching, mentoring, and creating the SURE program (a language program for grades 4 and 5), she was a member of the Curriculum Council and a consultant in whole language and assessment for many years. She retired from the Morris School District in 2001. In 2003, she was elected to the Board of Education and is now in her fourth term. She has been a member of the Board of Trustees of the MEF since 2001 and is chair of its Grant Committee. 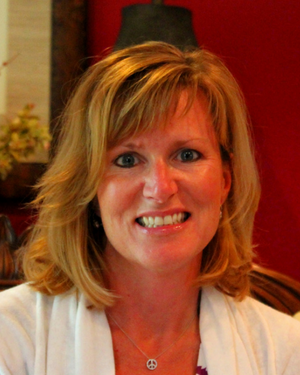 Molly Servais began her tenure on the MEF Board of Trustees in 2009. She served as board chair for three years and has chaired the friends campaign, strategic planning and board governance committees. She is currently chair of Morristown Onstage and co-chair of the scholarship committee. Molly has two children, Ryan (’14) and Maggie (’16) who are alumni of the Morris School District and was an active HSA and school volunteer while her children were on their K-12 educational journey. She and her family have lived in Morristown since 1998. Molly is a nonprofit management and fundraising consultant. She has worked for national non-profit organizations including the Arthritis Foundation, Junior Achievement and the YMCA. Melanie and her husband Alan moved to Morris Township in 2006 and more recently spent 3 years, between 2014 and 2017 as expats in Shanghai, China for Alan’s job. Since moving back full time to New Jersey, Melanie joined Impact Garden State 100 and serves on both the Giving Back Grant and PR/Communications committees. She has also volunteered at various PTO events at Thomas Jefferson, where their younger daughter, Ava, attends. Alan, a human resource executive, is a member of Kappa Alpha Psi Inc. Fraternity and its Maplewood-Oranges Alumni Chapter where he volunteers to help develop and fundraise for the Chapter’s various youth and community initiatives. Before leaving the corporate workforce, Melanie worked for several companies and industries as a marketing professional and holds a BS degree from Georgetown University and an MS from Johns Hopkins University. Melanie enjoys exercising and recently obtained her AFAA Group Fitness certification. Their older daughter, Alina, attends high school at MKA in Montclair. 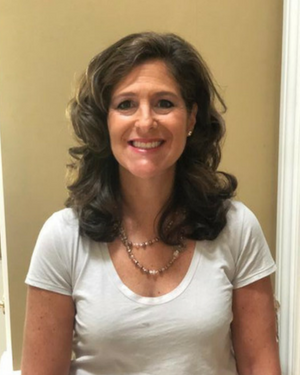 Melissa is a graduate of Morristown High School (’85) and has lived in Morris Township with her husband, Marc, and her daughter, Makena, a high-schooler at Morristown High School since 2002. She received a B.A. in sociology from Bucknell, followed by an M.A. in organizational behavior from Fairleigh Dickinson. 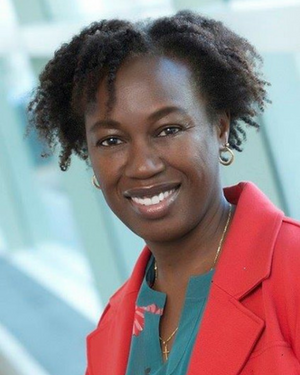 She spent the bulk of her career at JPMorgan Chase, where she was the vice president in charge of nationwide retail branch training organization. 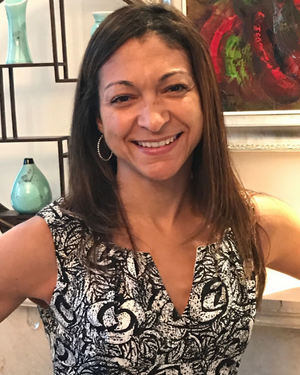 An active member of the community at large, Melissa is a past president of the Hillcrest School and former Community VP of the Junior League of Morristown. She is currently Membership chair of the Hillside Hide Ladies Auxiliary. She is also the creator of the “I Love the Morris School District” Facebook page. In the summer of 2018, she became a member of the school board of the Morris School District and is excited to be able to serve the school district in the capacity. Marcie and her husband Glenn moved to Morris Township from New York City in 1996 to raise their two children, Samantha (MHS ’13) and Josh (currently a sophomore at MHS). Marcie has been an active volunteer in the MSD serving in various leadership positions on the Alfred Vail and Sussex Ave. School HSA Executive Boards, implementing and running a reading program at Alfred Vail for six years, and serving on the House Board and Visionary Planning Board at FMS for House of the Phoenix. She is currently serving in her seventh year on the MEF and co-chairs the School Liaison Committee.